Firstly, thank you for downloading the NZ Streetstocks v1.1 Public Beta patch. You will notice a lot of changes from the original mod which will hopefully further enhance your experience and make your racing far better. This mod started out originally around 3 years ago in 2008. 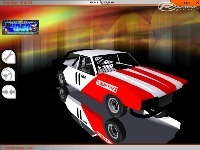 The 5 car models (Valiant Charger, Valiant Regal, Holden HQ, Holden Wagon, Ford Falcon) were all originally designed for the simulation game "RACER", and were created by Kevin West and Chris Wildey. 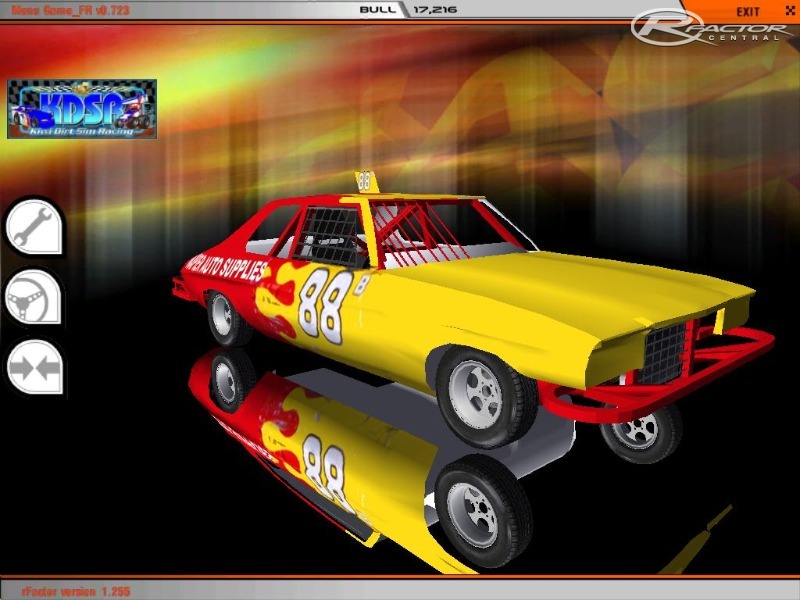 However, Racer didn't prove to be the best format for creating a speedway mod for, and so it got passed onto me (Bull) to put into rFactor. Not knowing much about modelling or physics but with plenty of real life experience in racing in real life from the age of 5, I sought out people to help me and teach me. I ended up getting Steven Ramsbottom (Rams) from www.kiwidirt.com to help out with the 3D Modelling side of things, and various forums, looking at other mods, listening to other modders etc and taught myself about physics. 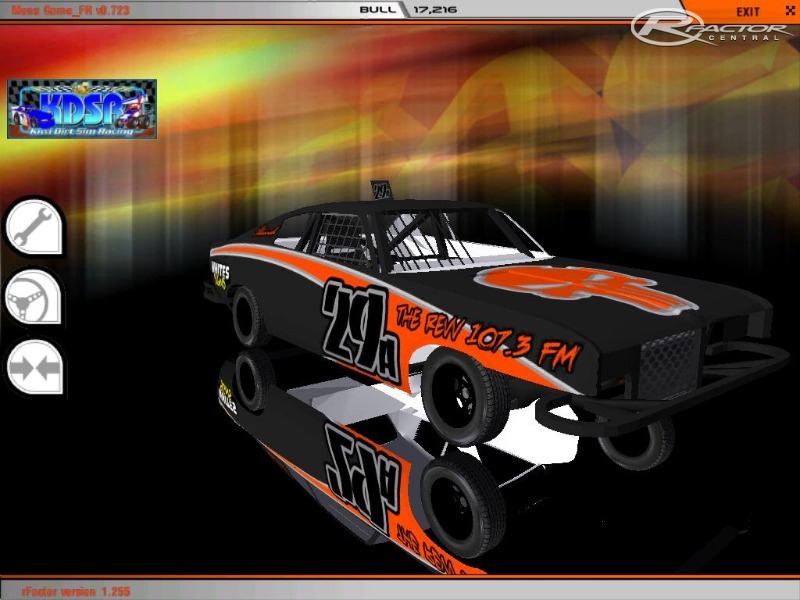 The first version of the streetstocks was seen at a Christchurch Stockcar Heat Lan back on 2008. While most were there to play Stockcar Heat as rFactor was still a relatively new sim to the Speedway community at the time, not many actually had rFactor. We had a few people drive them and first impressions were good. From there, work dropped off a bit with other committments for both me and Rams. Late '09 saw a bit of interest arise again for the streetstocks and we pushed to get a public beta out the doors. This was the beta that was previously released to this on rFactorcentral. The mod, while being fun, proved to be a challenge to casual racers and had several problems and glitches. I worked on updating the physics after that, and had put together what I felt was a betting physics package then the original mod. However, I did not want to release without spending time on the models, and unfortunately for me I couldn't model to save myself and I had parted ways with Rams and KDSR. 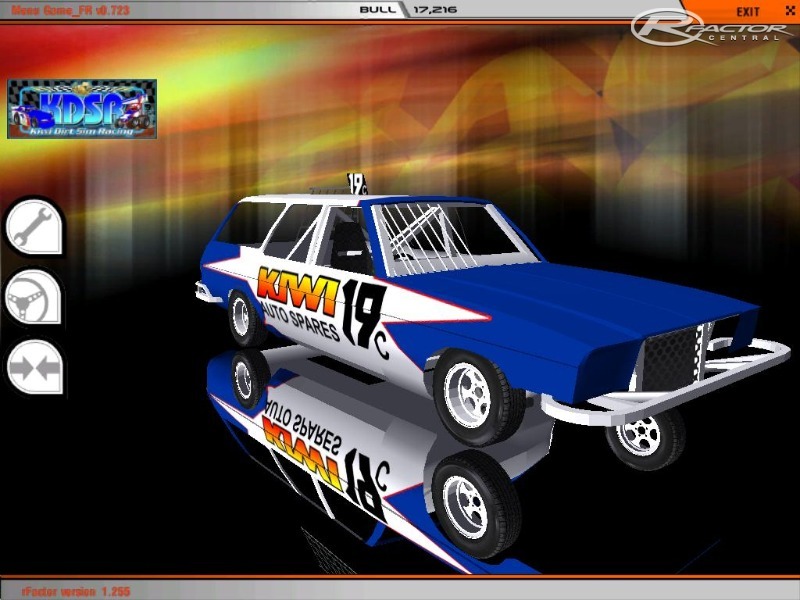 The mod stayed as it was until late 2010 when interest again arose at www.kiwisimracing.net.nz who were looking at possibly running a league for these in early 2011. So I decided I would finalise the physics as well as try to rectify as many faults as possible. While not all faults have been removed, there has been a vast improvement over previous version which should prove to be more then enjoyable to the majority of the sim community. So thats where we are at now. I hope to look into adding new vehicles and redoing the models for the next version as well as updating various other things. Until then, this will be more then fine. This can be solved by opening your rF Config.exe in your rFactor folder and changing your Direct X Level to either 8 or 9. Unfortunately there is no way to solve this at this point in time, but rest assured they work fine on the track which is really what counts. As each car has a different set of physics each car requires a different setup, however the theory behind the setup is the same. As these are 40 year old cars and feature such advanced technology like Leaf Springs, open diffs etc, getting the power from the engine to the track can prove to be the biggest issue. Below I will outline common scenarios and adjustments you can make to fix the issues. Lower front ride height, soften front springs, change brake bias further to the rear, increase camber and front toe. Raise front ride height, stiffen front springs, change brake bias further to front. Lower rear ride height, soften rear springs, lower rear anti roll bar, raise front ride height. - Re mapped all engines to closer to real life counterparts and balanced engine performance better throughout vehicles. - Adjusted tyre grip and slip values to reflect a closer to real life street tyre rather then a race tyre and also balanced throughout different vehicles. - Adjusted overall weight and weight jack/ratio between cars to reflect closer to real life counterparts. Also removed option to adjust weight jack/ratio ingame as found to give too much of an advantage to some cars and not others, and to stop people weight jacking for one direction of circuit when racing can be done in both directions. - Adjusted Aerodynamic drag between vehicles to reflect the size and drag of the bodies more realistically as well as changing drag to front and rear of the bodies to reflect the body shape, ie more drag + downforce on the rear of the charger to reflect its tail/wing. - Adjusted gear ratios to give wider range of track possibilities and setup abilities. - Removed Upgrade option for different Brake Bias. Now is open ingame so can select own brake bias. - Added upgrade for Force Feedback Strength + Realfeel support. - Changed values in damage file to increase force required to remove wheels, lowered "random" value of wheel being broken and changed value to increase force required to bend wheel. Lowered value for force required to bend/damage steering. - Changed Value ranges on several ingame setup options including front and rear anti roll bar, caster and camber, to allow more setup options while also locking diff settings to keep balance between vehicles. - Adjusted suspension and bump/rebound shock settings. - Adjusted Centre Of Gravity to reflect each vehicles real life couterpart more accurately. 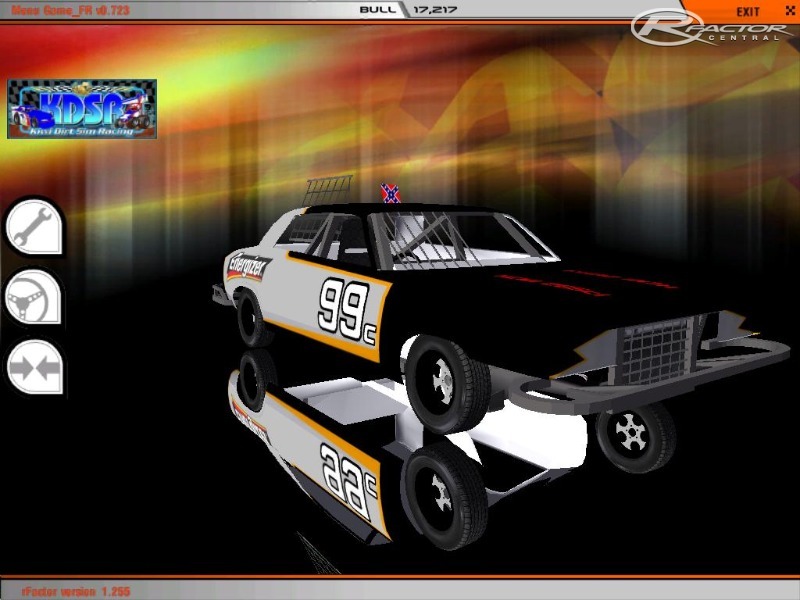 Sidewinder - Contributed with a lot of skins, Streetstock logo, dash and gearbox textures, and other small stuff. And anyone else I missed out! All the Beta Testers and Skin Painters. There are currently no setups for NZ Streetstocks. Add a Setup. There are currently no car skins available for NZ Streetstocks. If you are a painter you can share skins for this mod via the Car Skins area. Visit the Spray Booth for painting tips & tricks.